WASHINGTON, D.C. — Consumer Reports today filed formal comments with the federal government in strong opposition to its proposal to roll back the nation’s fuel economy and emissions standards for new cars and light-duty trucks. Today is the deadline for public comments about the controversial proposal by the U.S. Environmental Protection Agency (EPA) and National Highway Traffic Safety Administration (NHTSA). The government’s proposed rule is founded on extensive errors, faulty logic, and unsupported conclusions. Consumer Reports found that, when a few key errors in the agencies’ analysis are fixed, the rollback would increase costs for consumers, decrease vehicle sales, and increase traffic fatalities. 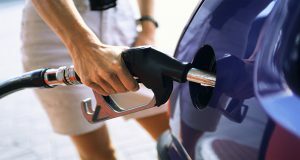 Research commissioned by Consumer Reports shows that the rollback will result in an increase in consumer fuel spending of $480 to $700 billion over 2017-2035, and a decrease in vehicle safety. Overall, rolling back the standards would increase net costs for consumers by $129 billion to $371 billion over 2017-2035, or $400-$1,100 per vehicle. The same research shows that the rollback will reduce new vehicle sales by 800,000 to 2.3 million over 2017-2035. Based on the agencies’ stance on the relationship between traffic fatalities and sales of new vehicles with the latest safest features, this would increase the number of Americans’ lives lost on our roads. EPA and NHTSA’s data indicate that the proposal will result in the loss of tens of thousands of jobs between 2019 and 2030, despite the agencies’ claim that the proposal is aimed at saving jobs. This rollback runs counter to the public’s strong desire for improved mileage in the cars they drive, as Consumer Reports surveys show that fuel economy is the number one attribute that consumers would like to see improved in their next vehicle. Shannon Baker-Branstetter, Senior Policy Counsel for Consumer Reports, said, “Despite its numerous flaws, the proposal does correctly state that there’s no such thing as a ‘free lunch’ — but it’s Americans who are being left to pick up the tab. “The current standards save consumers money, and they ensure that people have more choices for more fuel-efficient vehicles, including SUVs, minivans, and pick-up trucks. In contrast, even by the agencies’ own estimates, the proposed rollback increases fuel costs by $153 billion, costs tens of thousands of jobs annually, and provides zero benefit to the auto industry. These negative outcomes completely contradict the administration’s argument for the rollback, which was to save jobs and help the industry,” Baker-Branstetter added. Copies of the formal comments are available by request.